Lately, a popular unlocking method is gaining popularity as time passes. However, many users want to know how the Permanent Factory unlock via IMEI works. Well, we are creating this post to write more details about the unlocking solution. We already informed you that we would bring you the Safest Factory Unlock via IMEI for iPhone. The service we recommend does the factory unlock any iPhone carrier for the cheapest price. Furthermore, it’s a permanent solution and is 100% legit as we have tested it. You can then use the iPhone on any carrier without the need to worry about an iOS update or jailbreak. Where do the IMEI unlock iPhone services obtain information from? A unique algorithm based on IMEI, HARDWARE ID of a certain device or carrier information generates all GSM network unlock codes. Later on, a the unique unlock code specific to that device with locked policy rules to a particular network is created by a server. NCK is the name for this type of code. The full abbreviation is Network Control Key. There are 15 numbers which are unique (which can also have different meanings and sign the locktype). It will take years for a simple bruteforce, but if those parameters are available, it would take less time for the whole code to be generated. How does the iPhone Factory Unlock and Activation Process works? iPhone unlock methods vary. There’s a separate IMEI number for every iPhone. The IMEI number is stored in Apple’s database. When the iPhone needs to be unlocked and to be connected to iTunes, it verifies the IMEI number to check first whether its blacklisted or not. This ActivationTicket is a specific SIM card. If the phone is placed at whitelisted, Apple’s servers create an IMEI code and the phone is free from the jail. However, if the fruit company sees something wrong, it locks it again. This means you can’t use iPhones if the iPhone was unlocked unofficially. 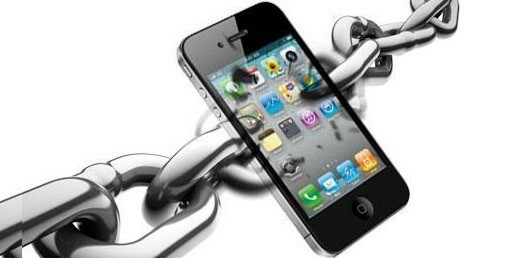 We highly recommend Official iPhone Unlock.co.uk if you want to get your iPhone unlocked safely. They use a secure connection to Apple serves that takes care of all the iPhones IMEI’s database. There’s an IMEI and network (carrier) policies the iPhones should be locked to (or if the specific IMEI is unlocked) in each database. Every company that unlocks iPhones officially is able to make change to carrier lock status of every iPhone IMEI. This may be done by a human being or by API depending on the server being used. This is the best service that can unlock iPhone 5, 4S, 4 and 3GS FOREVER. As a result, Official iPhone unlock doesn’t use a software or NCK exploit methods to unlock the iPhones. The very likely method has to be the WildCardTicket which was used in the SAM unlock solution. So what are you waiting for? Get the Cheapest Factory Unlock Solution Right Now! When iDevice users experience problems with the iOS software or unlocking, it is not uncommon for their lives to unravel. My passion is providing answers to your problems. I help iPhone, iPad and iPod Touch users by recommending fixes for common iOS bugs and tools that improves your experience. I conduct in-depth research for every topic i cover on this blog, to ensure that I cover everything Apple users need to troubleshoot their issues. When not writing for UnlockBoot, i enjoy swimming in my backyard pool. P.S. i prefers the Maldives for holidays. Connect with me on Facebook, Google Plus and Twitter. © 2010 – 2018 UnlockBoot is an independent service provider and not affiliated by Apple, Inc. We do not sell or host jailbreak services or tools. We link to official sources only.